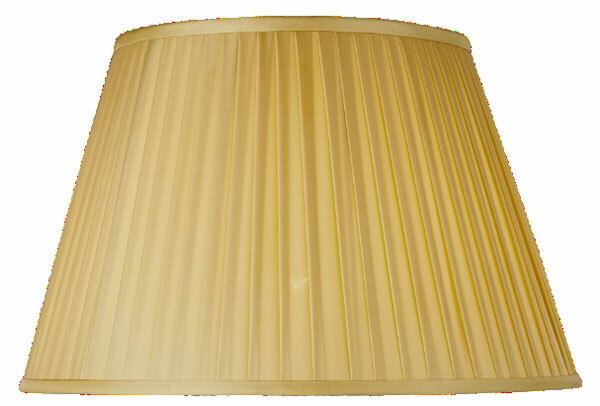 An Empire knife pleat 12 inch faux silk ceiling or table lamp shade in a choice of three colours. 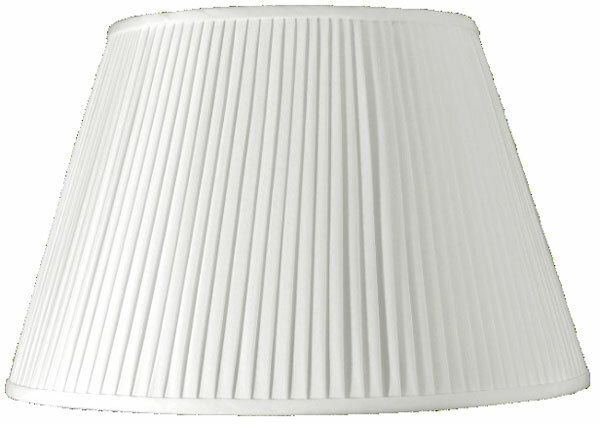 Part of a collection of classic Empire lamp shades, with self trim in a range of sizes from 8 – 22 inches. 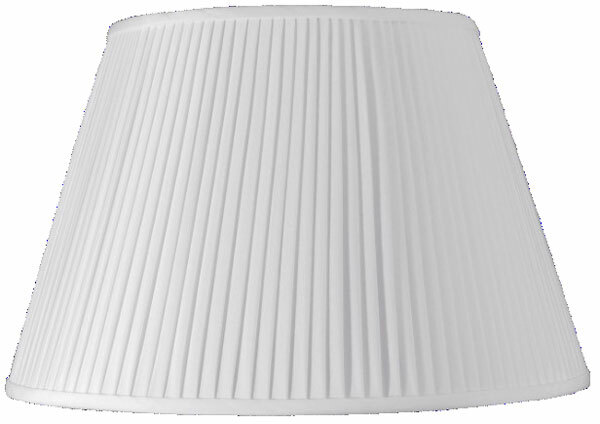 Fitted with a duplex ring and requires a spider for use as a pendant shade or carrier for use on a table lamp. A suitable spider or carrier can be found by following this link to our lighting accessories category. Fully lined and handmade in white, ivory or champagne faux silk fabric with self coloured trim. 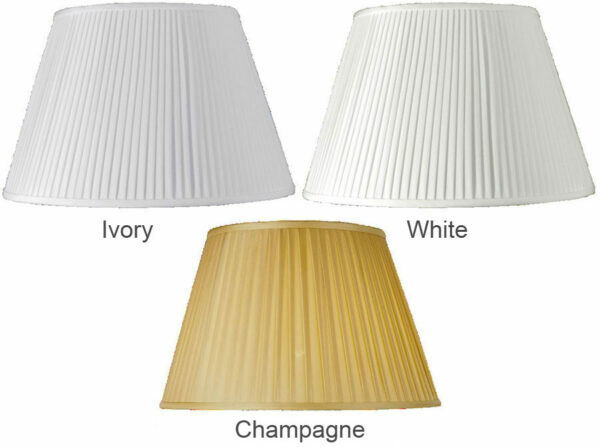 The 12 inch shade is for a small room ceiling or with table lamps. Height 7.5 inches.